Are you in the Film, TV, Commercial or Video Game Industry? Support TXMPA & Join Today! Oversee the nonprofit organization and report to the Board of Directors. Work to support and cultivate member involvement across the state. Monitor and maintain website, eblasts, social media, Mailchimp, Wix, etc. Perform administrative work as it relates to database and accounting for a non-profit. Help to facilitate and create programming for industry and public. Develop and maintain relationships with selected industry stakeholders and strategic partners. Work closely with board of directors to facilitate legislative efforts. 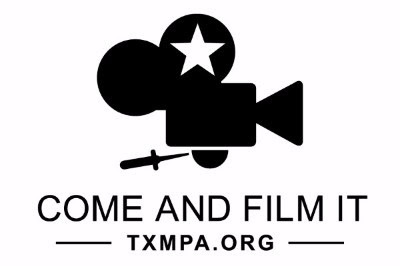 Knowledge of the Texas Moving Image Incentive Program (TMIIIP) legislation. Basic understanding of state and local politics. Advanced level of administrative and leadership skills required to effectively manage and develop team and individual contributors. Exceptional oral and written communication skills in order to explain complex subject matter, promote collaboration and teamwork, build consensus, and persuade others. Communications and social media savvy. Working knowledge of Mailchimp, Facebook, Twitter, etc. Responsible; self-directed; pro-active; excellent follow-through. Excellent listening skills with an understanding of teamwork. Working knowledge of Quickbooks, Wix, etc. Must have high-level initiative and ability to work independently to handle responsibilities that are often unsupervised. Ability to work creatively in a challenging environment where constructive suggestions/directions are encouraged. Ability to develop and make presentations. Superlative interpersonal skills: High degree of patience and tact, and must be able to cultivate respectful, strategic and collaborative relationships with people from diverse backgrounds both internally and externally. Hold yourself and others accountable for a high level of performance and integrity. Must be available and willing to travel to Texas locations as TXMPA determines necessary. If interested and you meet the requirements, please email your resume and cover letter, describing your desire for the position and what would make you the right candidate, to communications@txmpa.org.